Fast and easy tool change. 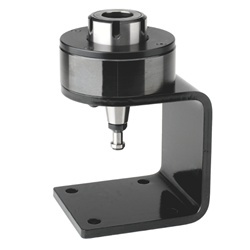 Flange is made in special and durable steel. 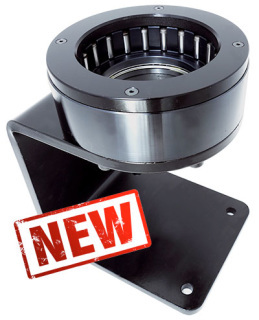 Auto-locking roller bearing design for faster tool changes and no slippage. Light: basement is made in anodized light alloy. 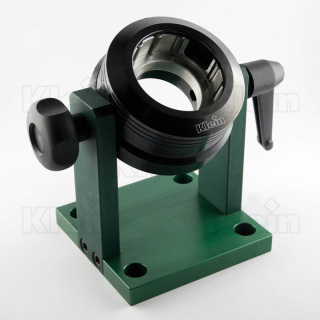 It is adjustable from 0Â° to 90Â° for any operations, able to mount as table or side mount. Four Holes for secure mounting.The demount device MUST BE FIXED to a workbench/toolcart. The sliding collar engages the wrench flats on HSK and toolholders without drive slots. 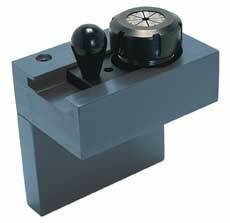 The large set-screw engages the drive slot in BT and CAT holders.